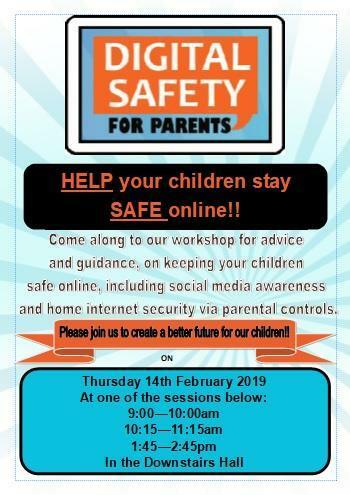 Due to the Success in raising awareness about online safety during our last Workshop, we are holding another Digital Safety Workshop at Medway. We would like you to join us, to celebrate the many positives of the internet, and to raise awareness of the issues that children and young people face online today. The main focus of the workshop will be Parental Controls, which is the topic you suggested we should do at our next Digital Safety session, through the feedback form. The session will provide practical advice and safety tips to help manage online safety issues, and discussions surrounding suitable behaviour online. We believe being educated about Internet Safety is a crucial element of the curriculum and an essential part of young people’s development. This session is designed to help you become more aware of the safety messages that your children receive in school in order to reinforce them in your home environment. We really hope that you will be able to attend and look forward to seeing you there.